There is a running Internet trope where you see two people in a cool pic and say “boom, buddy cop film”. 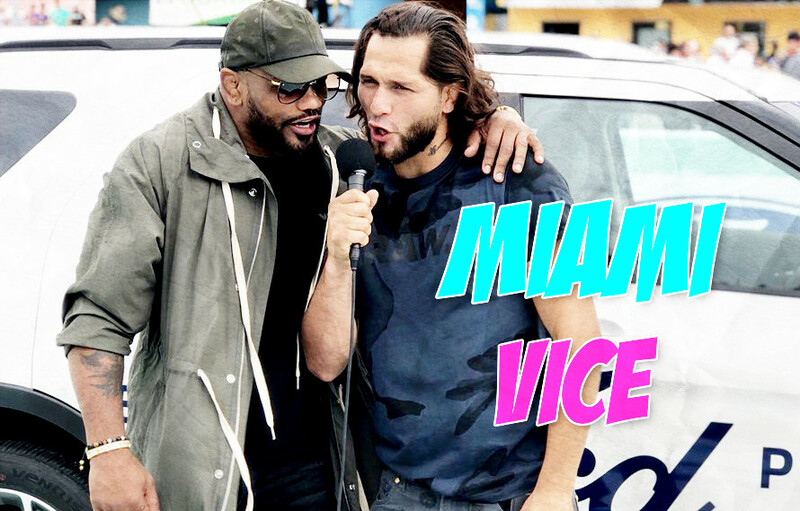 This time we’re serious, Jorge Masvidal and Yoel Romero are living the South Beach buddy cop life in this pic. This is not a drill. Forget the past when we said we wanted to see two MMA fighters team up for our entertainment enjoyment. 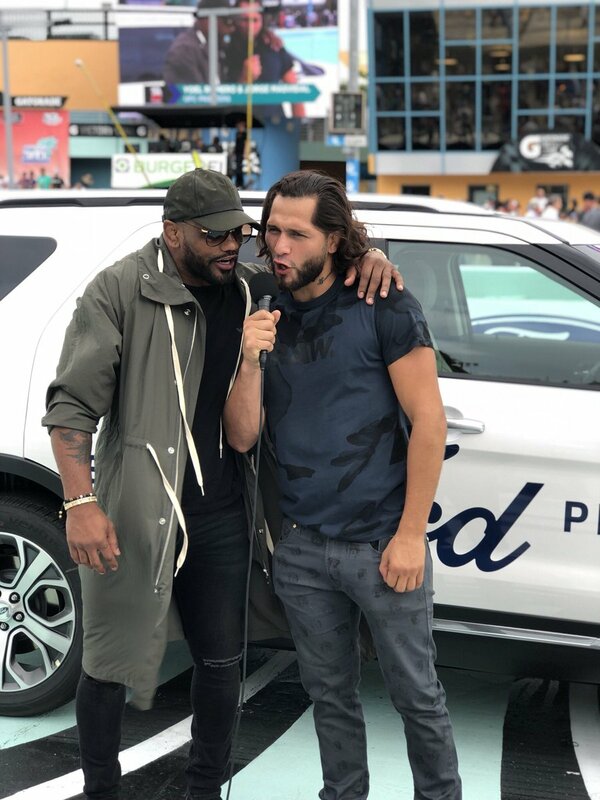 Jorge Masvidal with long hair and Yoel Romero as an undercover cop in disguise will never be topped. We apologize to BJ Penn and Matt Hughes, Cro Cop and Stipe, DC and Khabib, Michelle Waterson and Holly Holm, Sage and the Diaz Bros, and Fedor and that goose…..you’re funding has be pulled. MiddleEasy is officially moving forward with Jorge and Yoel. UFC Fight Pass, this idea is free and you should run with it. Send a camera crew down to Miami has soon as possible. Remake a bootleg Miamia Hustle and just follow around Jorge and Yoel for a few weeks, They will produce gold. Look at Jorge with long hair. Just look already. Check out Yoel looking like he’s heard a few things, he can’t really speak about in public. We’ve seen Jorge Masvidal with long hair and there is no coming back from it. Grow it all out. The Florida humidity must make Gamebred’s hair extra soft to the touch. Know the password to get in and make sure nobody followed you. It’s time to party with Long Haired Jorge and Undercover Yoel at a discreet South Beach hot spot. H/T to the Southern GOAT @SecretMovesMMA for the clutch find.